Two top college football administrators oppose delaying until the end of next season the expansion of FBS coaching staffs to 10 members. Winter is hiring season for assistant coaches in college football. Programs usually have their staffs in place by the start of spring practice. Most teams are winding down spring practice in April. The NCAA announced earlier in the week an amendment put forth by the Mid-American Conference to a wide-ranging recruiting reforms proposal that is going to the Division I Council for final approval in mid-April. The new rules were intended to take effect immediately. Now the council will first vote on the amendment to push back just the addition of a 10th full-time coaching position in FBS to January. Berry said the message he got from FBS head coaches when they met in January was there would not be a lot of poaching assistants from other staffs. 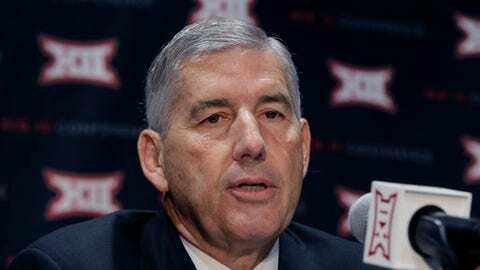 Berry said there was concern among some head coaches outside the Power Five about having to scramble to fill multiple positions if schools with bigger budgets try to lure their assistants. ”I think our group has tried to mitigate some of those problems for the good of everyone else,” Berry said. According to USA Today’s assistant coaches’ salary data base, the highest-paid assistant in the MAC last season was Kirk Ciarrocca, who made $320,000 as Western Michigan’s offensive coordinator. That ranked 274th among assistants listed in the data base and he was the only MAC coach to rank among the top 300. The Mountain West had three of the 300 highest paid assistant coaches. Conference USA had two and the Sun Belt had none. ”To drop this down in the middle of April doesn’t seem to sync up,” he said. The council is scheduled to vote on the recruiting reform package by April 14. The proposal, which is expected to pass, creates an additional signing period in December for high school players along with the opportunity for them to make official visits to college campuses in the spring. It also regulates where and when college coaches can participate in summer football camps.